We've all eaten their captivating dust from afar,wondering how they manage to smoke, chat on the phone, and change lanes all at the same time. 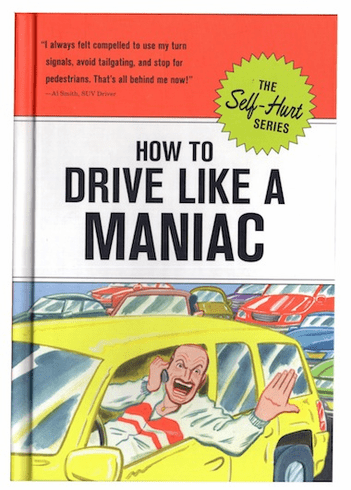 Maniac drivers make it look so easy as they cut us off, but now, for the first time, their secrets are available to the rest of us. Whether you're a grandma or just plain sensible, you'll be driving offensively, honking your horn, and gunning it through late yellows in no time.